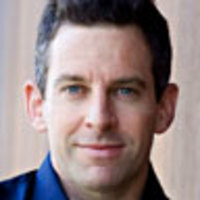 Bestselling author Sam Harris explains his current solution to the strange new media world—and why he’s publishing short ebooks. Writers, artists, and public intellectuals are nearing some sort of precipice: Their audiences increasingly expect digital content to be free. Jaron Lanier has written and spoken about this issue with great sagacity. You can purchase his book, which most of you will not do, or you can watch him discuss these matters for free. The problem is thus revealed even in the act of stating it. How can a person like Lanier get paid for being brilliant? This has become an increasingly difficult question to answer. When I published The End of Faith in 2004, I created a website as an afterthought. In fact, I remember feeling silly asking my publisher to put the web address on the dust jacket, not knowing if there was any point in doing so. While my website has since become the hub of everything I have accomplished as an author, it took me years to understand its utility, and I only began blogging a few months ago. Clearly, I am a slow learner. But many other authors are still pretending that the Internet doesn’t exist. Some will surely see their careers suffer as a result. One fact now seems undeniable: The future of the written word is (mostly or entirely) digital. Related difficulties are now looming for books. I love physical books as much as anyone. And when I really want to get a book into my brain, I now purchase both the hardcover and electronic editions. From the point of view of the publishing industry, I am the perfect customer. This also makes me a very important canary in the coal mine—and I’m here to report that I’ve begun to feel woozy. For instance, I’ve started to think that most books are too long, and I now hesitate before buying the next big one. When shopping for books, I’ve suddenly become acutely sensitive to the opportunity costs of reading any one of them. If your book is 600-pages-long, you are demanding more of my time than I feel free to give. And if I could accomplish the same change in my view of the world by reading a 60-page version of your argument, why didn’t you just publish a book this length instead?